The main problem of third world's crisis is to get food and fresh water supply. 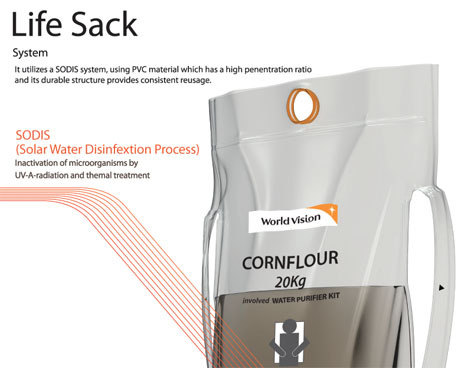 World wide charities such as World Vision have sent common supplies such as grain, packed in sacks. 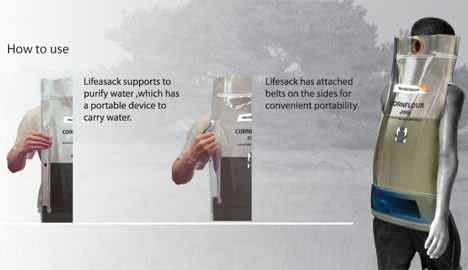 Based on this information, three Korean industrial designers have ingenious idea to redesign the sack. 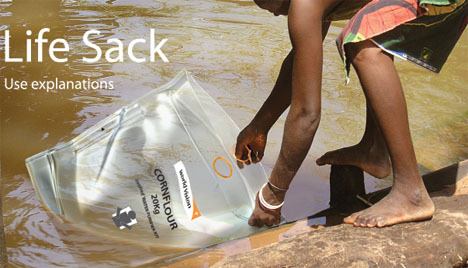 Life Sack is a sack that can also work as a water purifier kit. 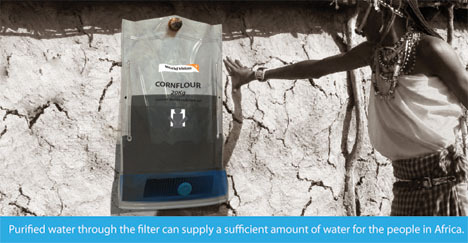 After grain is stored, they can reuse the sacks to purify water. 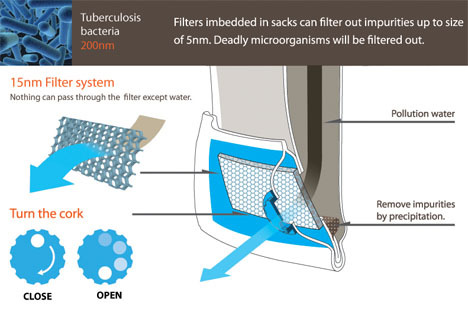 Life Sack uses SODIS (Solar Water Disinfection Process) technology to filter contaminated water. The UV-A-radiation and thermal treatment will kill deadly microorganisms and bacteria in water. 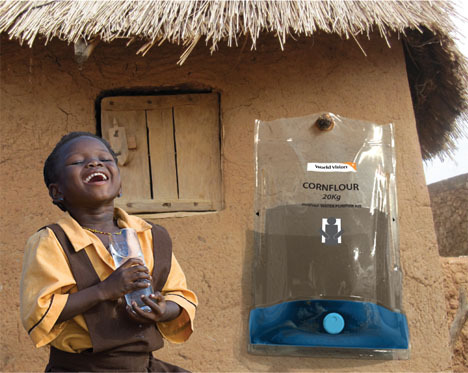 It is hoped that this design can help providing more sufficient amount of clean water for the people in Africa.